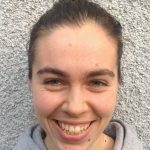 Liz is a Communication graduate from Simon Fraser University who first got connected with AIA at a summer ice hockey camp. She later travelled to Slovakia on an AIA hockey tour, an experience which she considers to be a major turning point in her life. Liz has worked in media and communications at the Olympics and the Paralympics as well as with local and provincial organizations in her home province of British Columbia.